Think of a company you love. Chances are that you don’t just love their products or services, but the complete customer experience they offer. Maybe it’s fast delivery, valuable advice or an excellent helpdesk. Many companies use experience maps to analyse and optimize their customer experiences. Wouldn’t this be great for education as well? The concept of mapping experiences comes from the service design industry. The goal is to gain a strategic advantage by understanding what the customer goes through. To find out what they love (or hate) about their experience and improve things if needed. It keeps the customers happy and the company successful. Any school would be interested in offering their students a great experience. So why not use experience mapping to help you achieve this? Well, you can. But there are a couple of differences you’ll want to keep in mind. Companies want to satisfy their customers, because satisfied customers buy more stuff. But customer satisfaction and learner satisfaction are not the same. For example, you want to make everything as easy as possible for the customer. Learning isn’t easy. To learn something new takes you out of your comfort zone. In fact, you need to be challenged to really progress. Imagine making ordering a pair of shoes a challenge, good luck selling those. There’s a difference between buying a TV and learning physics. The process of learning is way more complex. Not only because learning takes longer, but also because there are more elements that come into play. 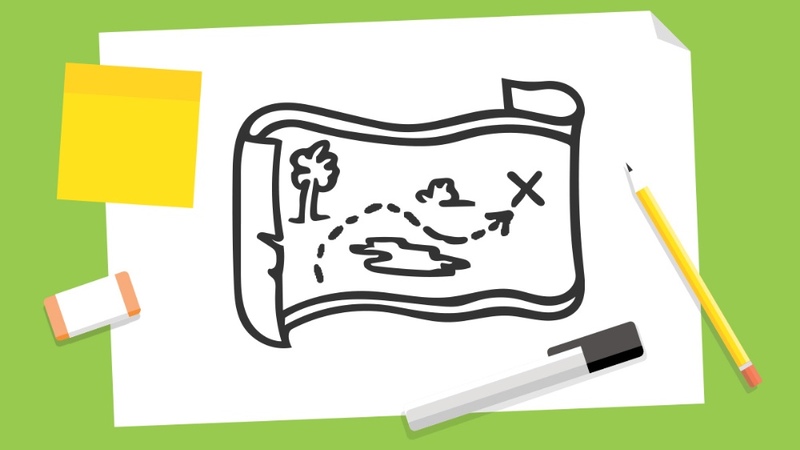 While some customer journeys can become quite elaborate, learner journeys are in a league of their own. In fact, it’s quite a challenge to keep the map as simple and compact as possible without oversimplifying the learning experience. An experience map is basically used to analyse the current customer experience so you can figure out what can be done better. This also works for existing learning experiences. But what if you want to design a completely new learning experience? Then it becomes a design tool. It is a great way to visualize your design and anticipate on things that could go wrong in real life. It’s obvious that mapping a customer experience and a learning experience are not identical. Still, there is a lot we can learn from experience mapping for education. If you are willing to experiment and add or alter a couple of bits and pieces you’d be able to map out learning experiences. How? That’s what I’ll discuss in my next publication.